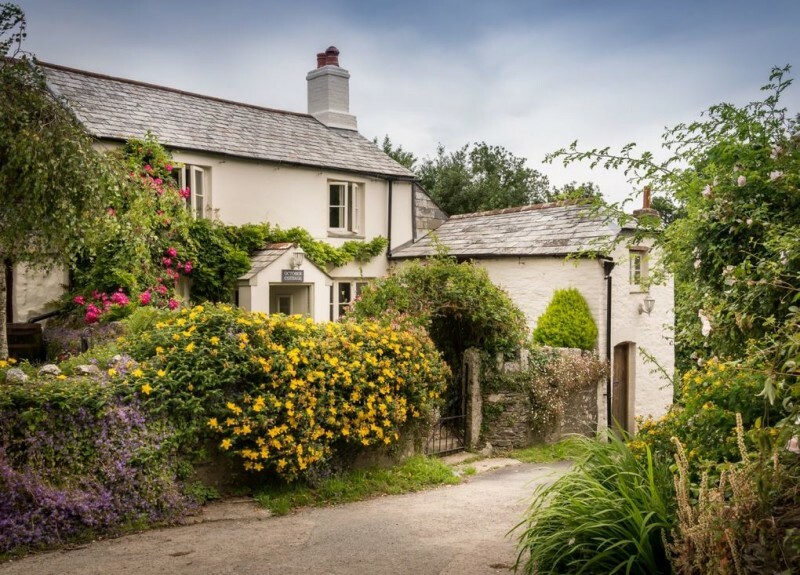 October Cottage, which is also known as Elysian, sits in a secluded rural village in East Cornwall. Pared-back neutrals and original wood floors create a natural backdrop for an indoors-outdoors theme. Textured fabrics, loose linens and upcycled furnishings sit alongside inspired collections of ornithological art. Need a holiday? Check the listing at Unique Home Stays for more photos and information! Oh, my. I’m in love. To use one of my favorite British adjectives – scrummy!! Gorgeous and serene. 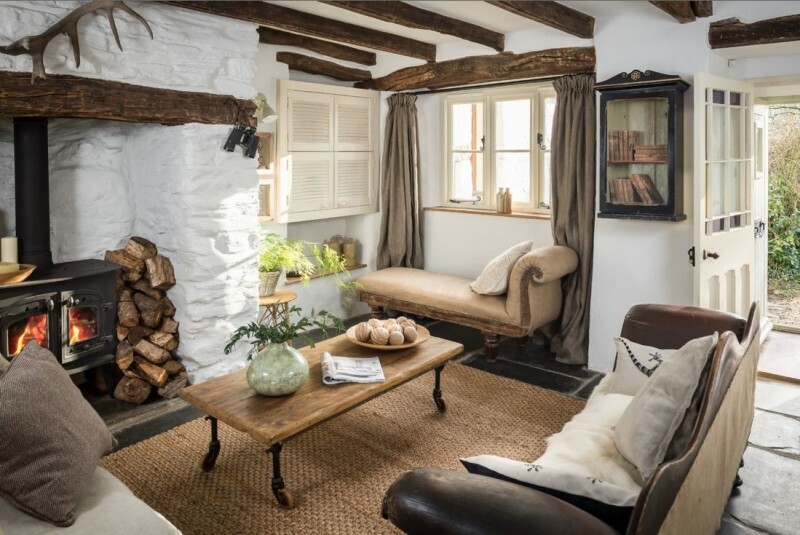 Love everything about this cottage. The only thing that would add to its magic is a beach-front location. This post reminded me of a movie I saw not long ago, called Ladies in Lavender, which was shot in Cornwall, and stars Maggie Smith and Judy Dench. Sweet movie, beautiful setting and adorable house. You’ve had some wonderful cottages featured, Julia, but oh my, this one really speaks to me. The furnishings are wonderful and really fit the cottage. Lovely, just lovely. Oh yes, that’s pretty fabulous. Wonder how it came by its name? Elysian is very appropriate for it, too! What a find. How wonderful. Somebody has put together the furnishings in a welcoming, comfy, magical way. Def a holiday dream. What a charming, warm home. I want to cozy up on the couch with some hot tea or as someone said, use it as a writing retreat! The AGA, for me it is all about the AGA. I have a very unhealthy obsession with this stove. I have read all sorts of things about it, good and bad, yet I covet one to no end. Stunning. WOW! 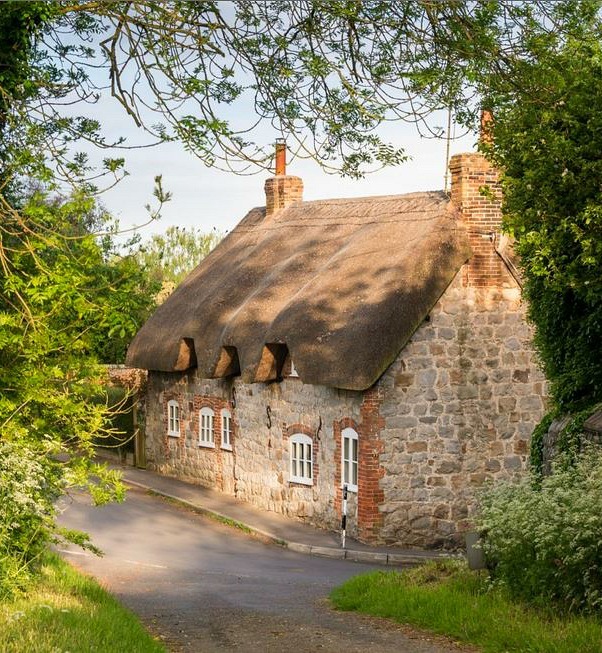 How cute is this cottage?? Everything is tastefully decorated and really peaks interest. The place just begs for visitors to sit and stay awhile. Very cozy, warm, and inviting! Absolutely LOVE IT! One word sums it up for me: Charming!!!!!! I just love browns and white together … a wonderful effect indeed. How funny! We wanted to rent that very cottage this fall but chose another location instead. It is really cute indeed! i had a bad headache and after seeing this cottage ….its gone ! 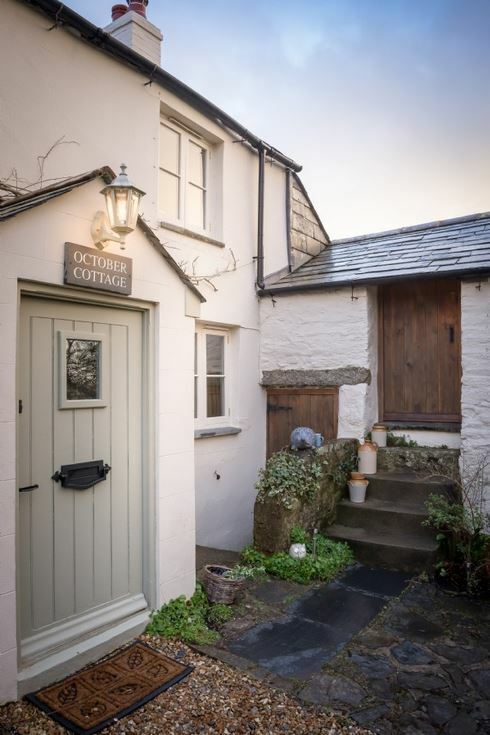 The October cottage is my dream to a “t”. The location is my favorite as well. I would move in and not change a thing.